Scientists in China are eligible for Newton International Fellowships, Newton Advanced Fellowships and Newton Mobility Grants which all form part of the UK’s Newton Fund. In 2011 the Royal Society awarded the King Charles II Medal to Mr Wen Jiabao, Premier of the State Council, for his contributions to furthering scientific research in the People’s Republic of China. In April 2012, following over two years’ discussion and planning, the Royal Society and Royal Academy of Engineering co-hosted the first in a series of three tri-lateral symposia on synthetic biology. This tri-lateral initiative, officially convened by the six Academies of Sciences and Engineering in the US, UK and China, was the first of its type; an experiment in joint-working, building on our own domestic work on synthetic biology as well as our growing interests in the governance of emerging technologies more generally. Three international symposia have now been delivered; in London (April 2011), Shanghai (November 2011) and Washington DC (June 2012) which brought together scientists, engineers and policy-makers to share experiences and inform national and international debates about synthetic biology challenges and opportunities. 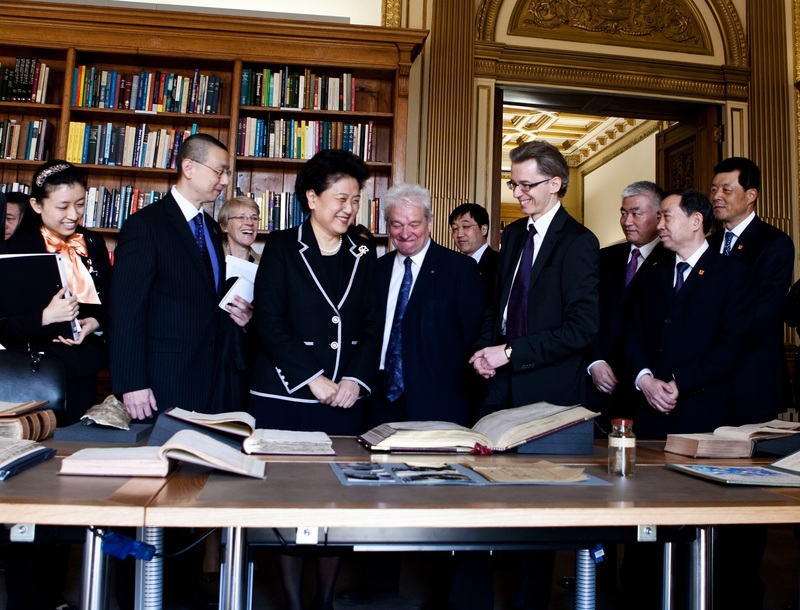 In September 2013, the Royal Society and the Chinese Academy of Sciences signed a joint statement on Working Together. In 2013 the Royal Society and Chinese Academy of Sciences held a Frontiers of Science meeting between UK and Chinese researchers in China. This is a prestigious interdisciplinary meeting for outstanding early career scientists. In November 2015 another joint Frontiers of Science meeting will be held in the UK. In 2014 the Society organised a Commonwealth Science Conference in Bangalore in partnership with Jawaharlal Nehru Centre for Advanced Scientific Research and The Commonwealth Secretariat with the support of the Government of India and the Queen’s Diamond Jubilee Trust. In 2014 the Royal Society also held a Frontiers of Science meeting in India in partnership with the Department of Science and Technology in the Ministry of Science and Technology, Government of India. In 2014 the Society published a country study of Indonesia as part of our study of Islamic-World Science and Innovation. We collaborate with the Science Council of Japan on scientific advice for G7 heads of government. In June 2015, the Society worked with the other G7 science academies on three statements that were sent to heads of government in advance of the G7 summit in Germany on: antibiotics, tropical diseases, and the future of the world’s oceans. 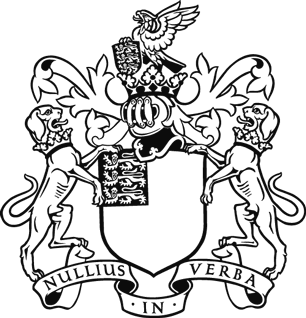 The Society also provides the JSPS Postdoctoral Fellowship for early-career scientists in the UK who want to conduct research in Japan. We support the Science and Technology in Science forum (STS forum) which is held in Kyoto each year. Scientists in Malaysia are eligible for Newton International Fellowships, Newton Advanced Fellowships and Newton Mobility Grants which all form part of the UK’s Newton Fund. In 2011 the Society published a country study of Malaysia as part of our study of Islamic-World Science and Innovation. The Royal Society funded the South East Asia Rainforest Research Programme (SEARRP), from 1995-2014, a multi-disciplinary programme involving collaborative research projects by leading British, European and Malaysian scientists. A delegation from the Royal Society visited SEARRP in March 2015 as part of the celebrations for the programme to transition to an independent partnership. In 2013 the Royal Society helped to facilitate a collaboration between UK and North Korean scientists to research earthquake activity beneath the Mount Paektu volcano. In 2014, a delegation from the Royal Society attended the International Council for Science’s General Assembly in New Zealand. In 2014 the Society awarded the Royal Society King Charles II Medal to the President of Singapore, Tony Tan Keng Yam, for making an outstanding contribution to furthering scientific research in Singapore. In 2014 we held a research conference in South Korea in partnership with the Institute for Basic Science (IBS), featuring a plenary lecture from Nobel Laureate Professor John O’Keefe FRS. A return conference is planned for September 2015 at Chicheley Hall, in the UK. In 2014 Sir Paul Nurse became the first serving Royal Society President to visit South Korea. Scientists in Thailand are eligible for Newton International Fellowships, Newton Advanced Fellowships and Newton Mobility Grants which all form part of the UK’s Newton Fund.